Usually life is pretty quiet on the Mendocino Coast. We have a handful of local paddlers and are used to sightings of the usual suspects out and about town. 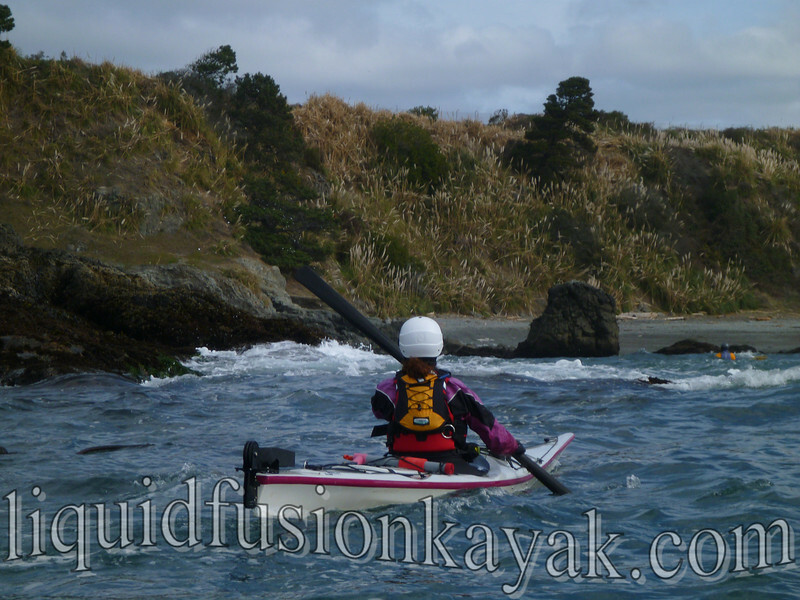 But once a year, the Bay Area Sea Kayaker's Mendo Madness hits and all of a sudden there are sea kayaks all over the place. We enjoy seeing all the colorful colors as they parade about town seeking out the best that the Mendocino Coast has to offer. Those that have been to Mendocino before know that it is spectacular!!! We have to admit that one of our favorite parts of Mendo Madness is getting to share the culinary talents of the Bay Area Sea Kayakers at the Saturday evening potluck. 1. Fort Bragg has banned the bag. Bring your own grocery bags when shopping in Fort Bragg. 2. The light is out - (no not Bobby's Beacon - bet a few BASK'ers have ended up there). The motor that powers the light in the Point Cabrillo Light House has burned out. Hopefully it will be repaired soon. They are posting updates on the Point Cabrillo Light Facebook Page. 3. COFFEE!!! Support a locally, family run fair-trade coffee company. Thanksgiving Coffee is roasted in Noyo Harbor and served at most coffee shops on the Mendocino Coast. For drive-though convenience, there is the A Frame just south of the Noyo Bridge in Fort Bragg and for a great local coffee house experience with free wifi and live music every night - Headlands on Laurel Street in Fort Bragg is the best. 4. Get fresh goods at Mendocino County Farmer's Markets. The Fort Bragg Farmer's Market is Wednesday afternoons from 3 to 6pm. Mendocino's farmer's market is Friday from noon to 2pm. 5. Plastic kills marine life - please continue your efforts to pick up trash in our marine environment but also try not to leave plastic behind. The plastic on newer kayaks seems to be getting softer and softer so please be conscientious of features that have the cheese grater effect. Moves that involve sliding on rocks like seal launching/landings are fun and may look cool to some but please be mindful that plastic shavings are not left behind. 6. North Coast Brewing Company's taproom has changed its hours and menu. It is open Wednesday through Sunday from 4-9pm and serves pizza instead of traditional pub fare. For those hankering for a fresh beer and pub food, Patterson's in Mendocino is your best bet these days (be sure to bring cash). If you like BBQ - check out The Q in Fort Bragg. Friday September 27 - Whitewater of the Sea - rock gardening in a whitewater kayak - come play with us and learn the whitewater and surf specific skills for rock gardening in a "short boat." On this adventure, we will share some of our favorite play spots and tips for maximizing the performance and fun of whitewater kayaks in rock gardens. 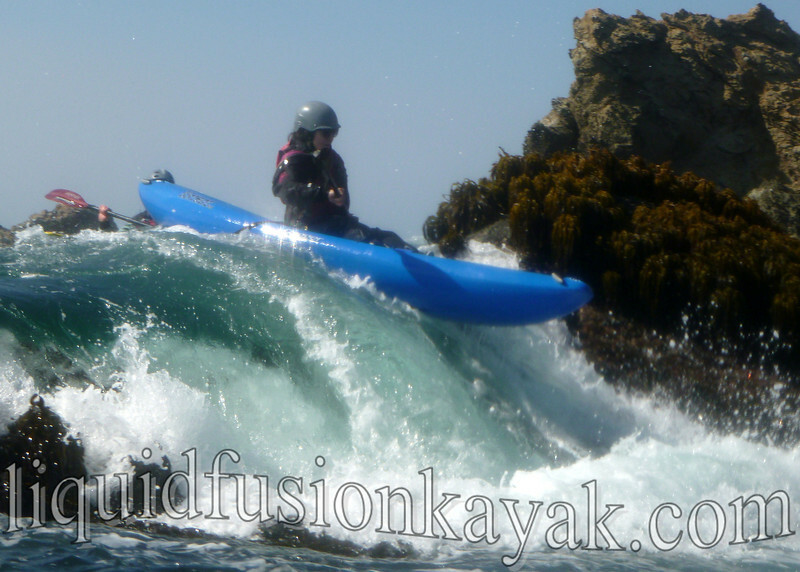 This lesson/tour will have paddlers learning and applying concepts and skills for boat control specific to whitewater kayaks as well as general skills like water reading, timing, etiquette, and safety/rescue. All skill levels will enjoy and benefit from this class (we have had class V boaters and athletic non-paddlers have a blast in the same class). 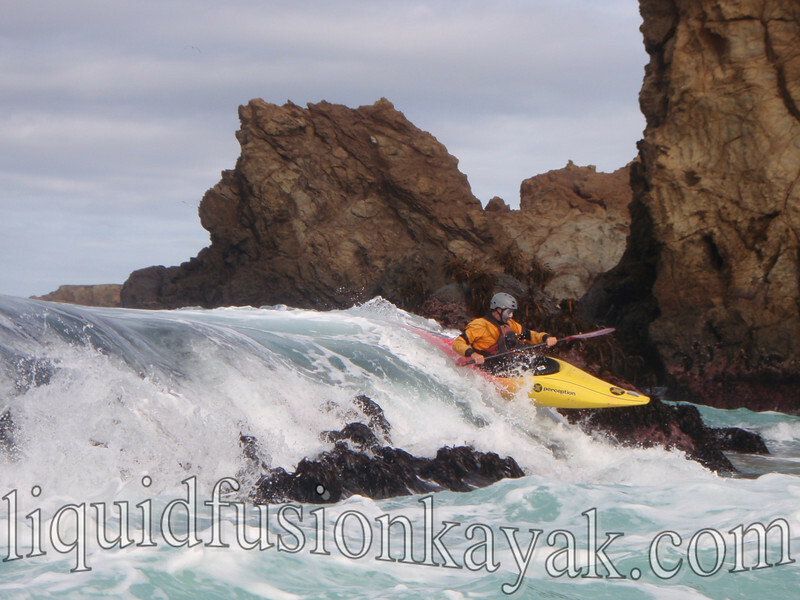 Saturday September 28 - Sea Kayak Rock Garden Class - build confidence and skills in the rock gardens with our systematic approach. 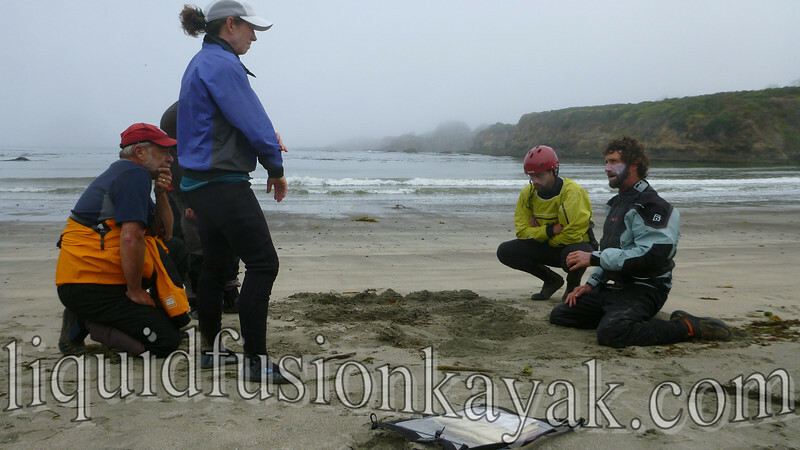 From specific strokes in the rocks to water reading, positioning, and play this is a class that will accelerate your comfort and skills in dynamic waters. 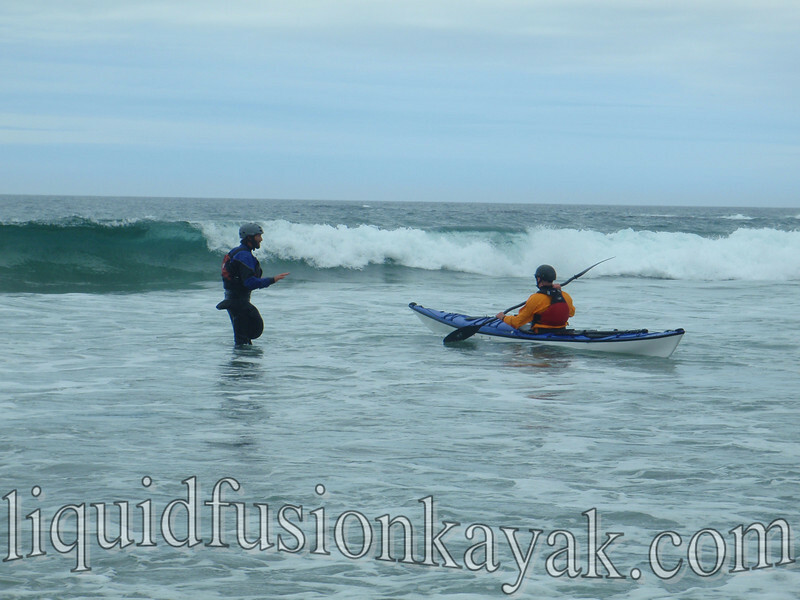 Sunday September 29 - Sea Kayaks in the Surf - Precision, control, and safety are the focus of LFK's sea kayaks in the surf class. Learn the techniques for controlled launching and landing that will make surf zones a breeze and increase your skills paddling in rock gardens. If you have taken a surf zone class before and want to hone your skills, this class will give you lots of hands on practice with feedback and coaching from 2 very demanding instructors. For those with no surf zone training, this class will get you started with the fundamentals. Classes are taught by Jeff Laxier and Cate Hawthorne - call us for more information and to reserve a space. 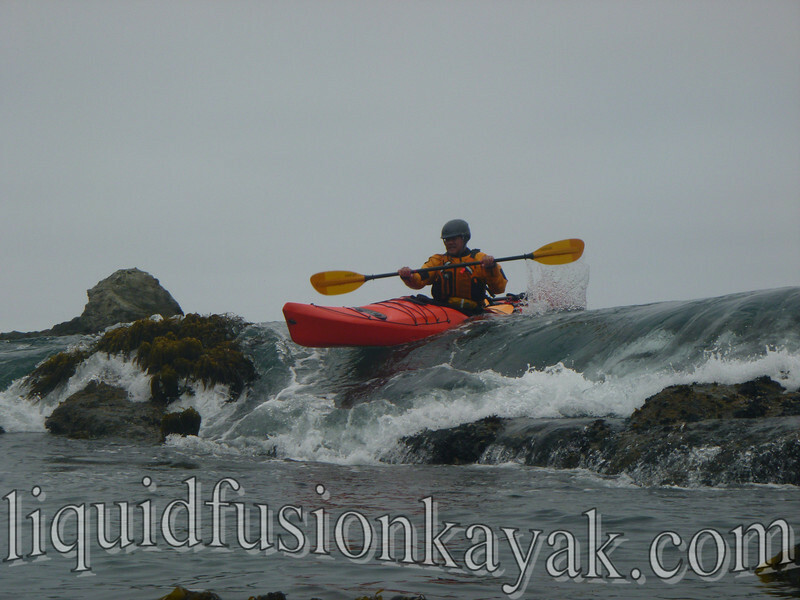 (707) 962-1623 Note: Liquid Fusion Kayaking offers kayak rentals for LFK classes only. We look forward to seeing everyone so please drive and paddle safely. Looks like we will also be doing a short boat surfing lesson on Thursday. Contact us if interested. UPDATE: The light is back on a Point Cabrillo!! !